These formulas can get you through everyday tasks from determining sales tax (and tips) to calculating increases and decreases. 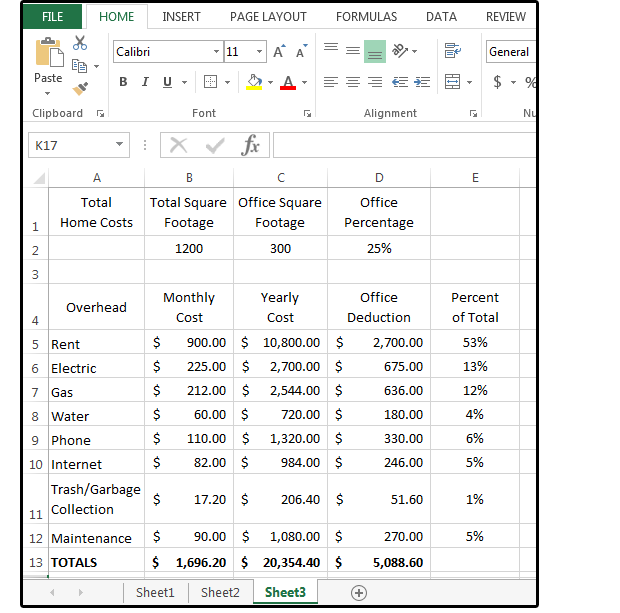 Excel percentage formulas can get you through problems large and small every day—from determining sales tax (and tips) to calculating increases and decreases. We’ll walk through several examples below: turning fractions to percentages; backing sales tax out of totals; percentage of total; percentage increase or decrease; and percentage of completion. Percentages are a portion (or fraction) of 100. The math to determine a percentage is to divide the numerator (the number on top of the fraction) by the denominator (the number on the bottom of the fraction), then multiply the answer by 100. For example, the fraction 6/12 turns into a decimal like this: 6 divided by 12 (which equals .5) times 100 equals 50 percent. 2. Copy the fractions in column A to Column B. 3. Highlight that range and go to the Home tab. Select Percentage from the dropdown list in the Number Formats field. Note: You can also select Format Cells from the Format button in the Cells group. Some companies sell products with the sales tax included, then just back the tax out for their payments to the IRS. Calculate this by dividing the “sticker” price (or receipt total) by 1.0 plus the sales tax rate. For example, if you paid $50 for a lamp and the local sales tax rate is 9%, divide $50 by 1.09. The actual retail price before sales tax is $45.87, and the sales tax is $4.13. To check your answer, just add the two numbers together, or multiply $45.87 by 9%. Using a calculator to do this for just one item is fine, but if you’re pulling sales taxes out of your weekly or monthly product sales, you only have to enter the formula once, then copy it throughout your entire sales and inventory spreadsheet. 1. Enter a dozen or so products in column A (from A2 through A14). 2. Next, enter the corresponding receipt total price (tax included) in column B (from B2 through B14). 3. In column C2 through C14, enter several arbitrary sales tax percentages (so you have some different numbers to play with). Be sure to enter some decimal/fractional percentages such as 4.75%, because most sales taxes are not whole numbers. 4. Enter this two-step formula in cell D2: =SUM(B2/(C2+1)). The object here is to convert the tax percentage to the whole number divisor (e.g., 9% to 1.09), and then divide the receipt total price ($198.56) by the whole number divisor (1.09) to get the correct retail price (before taxes) of $182.17. 5. Copy the formula from D2 down to D14. 6. In cell E2, subtract D2 from B2 to get the actual “backed-out” sales taxes (for the IRS): =SUM(B2-D2). Copy the formula from E2 down through E14. 7. To double-check your answers, enter this formula in F2 through F14: =SUM(D2*C2). If the columns E and F match, your data is correct. If you’re self-employed or have an office in your home, one method the IRS uses to determine your deductions (for the office portion of your rent, utilities, household maintenance costs, etc.) is to subtract the square footage of the office from the home’s total square footage. You can claim a percentage of those totals. The math for this one begins with dividing the office square footage by the home’s total square footage, then calculating the overhead based on that percentage. 1. Across the top, enter your home’s total square footage in cell B2. 2. Enter the total square footage of your office in C2. 3. Enter this formula in cell D2: =SUM(C2/B2) to determine the office’s percentage of square feet (in this case, 25%). 5. Enter the monthly cost of each item in column B. 6. Enter this formula in cells C5 through C12: =SUM(B5*12). This gives you the yearly totals. 7. Enter this formula in cells D5 through D12: =SUM(C5*$D$2). The cell address D2 must be absolute. Use function key F4 to add the dollar signs that make the formula absolute, so each cell in column D is multiplied by D2. 8. Total columns B, C, and D on row 13. Now you can see how much you spent on monthly and yearly overhead for the entire house and for the office only. Cell D13 shows your total home office deduction ($5,088.60). 9. To calculate the percent of the total overhead by item, enter this formula in E5 through E12: =SUM(B5/$B$13). Use these percentages to determine if your monthly/yearly overhead is within normal business practices. 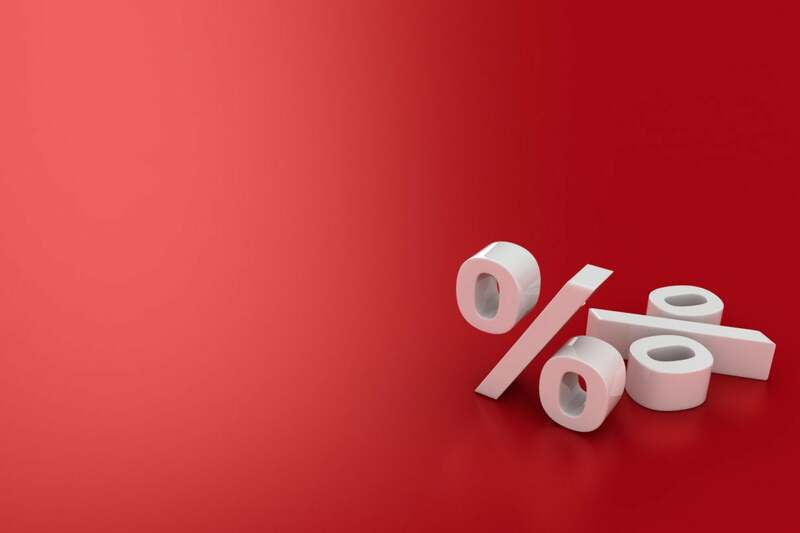 For most businesses, especially in retail, owners and managers like to know the percentages of increase and decrease for just about everything, from sales to salaries. Use the following formulas to calculate the percentages of increase and decrease in your company. 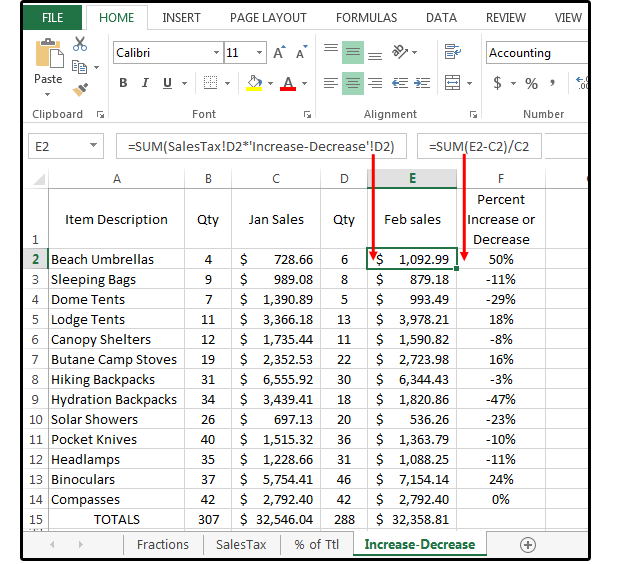 Imagine you’ve created a workbook with a spreadsheet tab called “Increase-Decrease.” Another spreadsheet tab called “SalesTax” includes Retail Sales Price data. 1. 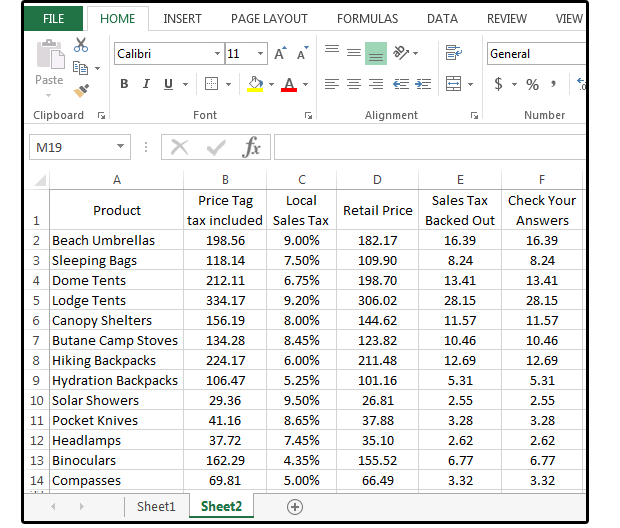 Enter a dozen or so product items in column A of Increase-Decrease (or just copy the same items used in the spreadsheet from part A above). 2. Enter the quantities sold of each item in columns B and D.
3. Enter this formula in the “Jan Sales” column (C2 through C14): =SUM(SalesTax!D2*’Increase-Decrease’!B2). This formula tells Excel to multiply the Retail Sales Price in column D of the spreadsheet called SalesTax by the quantity amounts in column B of the spreadsheet we’re in, Increase-Decrease. 4. Enter this formula in the “Feb Sales” column (E2 through E14): =SUM(SalesTax!D2*’Increase-Decrease’!D2). 5. Next, enter this formula in F2: =SUM(E2-C2)/C2. The positive numbers show the sales increase percentage between January and February, while the negative numbers represent the percentage of decrease in sales. 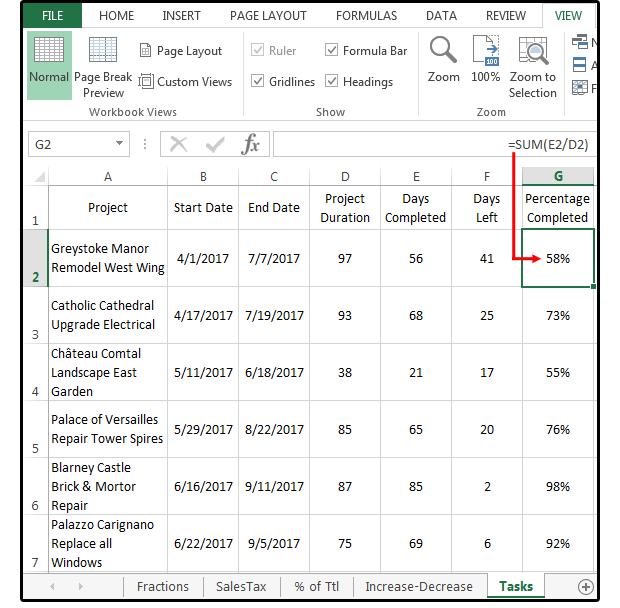 Instead of spending money on a project management software program, use the following formulas to manage the planning and flow of each project with the percentage of completion at specified intervals. 1. In column A, enter the names for half a dozen projects (in progress). 2. In columns B and C, enter the Start and End Dates of each project. 3. To determine the project completion (so far), subtract the Start Date from the End Date. Enter this formula in column D2 through D7: =SUM(C2-B2). 4. In column E, enter the number of days completed so far. 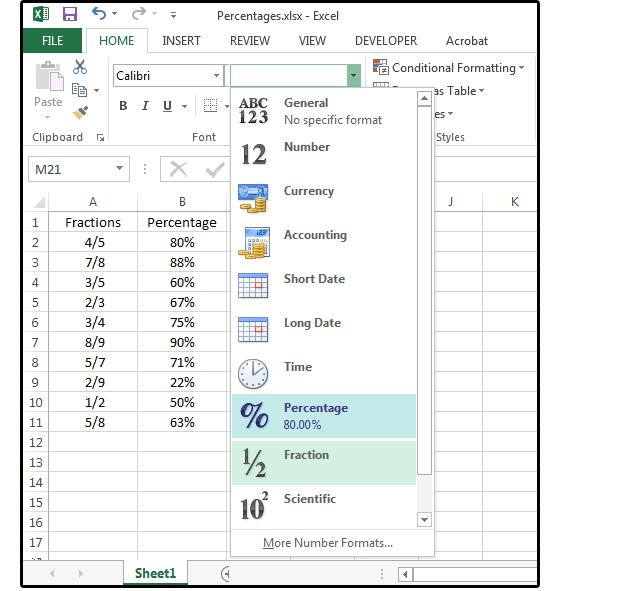 This is the only column of data that you will ever change; for example, once a day (or week), access this spreadsheet and modify the data in this column to get accurate conclusions in columns F and G (days left and percentage completed). 5. To get the number of days left in each project, enter this formula in column F2 through F7: =SUM(D2-E2). This numbers will continually change based on the number data in column E (number of days completed). 6. And last, enter this formula to get the percentage of the task/project completed, so far: =SUM(E2/D2). Calculate the percentage of a task/project completed.